Indonesia is a traveler’s delight. 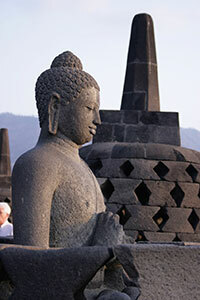 If you have one place you would like to spend peacefully, it is Indonesia. You will want to see Indonesia not for the political environment of this country but for its unsurpassed scenic beauty. Here are some destinations that should be part of your international travel, while in Indonesia. While Indonesia is divided into seven regions, I’ll try to share the beauty of these places rather than the geography. 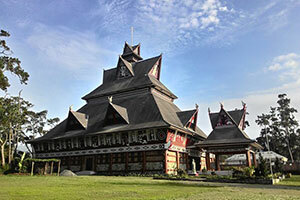 Sumatra is known for its scenic beauty and rich culture. You will witness beautiful architecture and if you are there at the right time, a few festivals that are worth seeing. You get a ready glimpse of the Indonesian culture in this region. The waterfalls, mountains and the natural beauty of this place make it a scenic wonder. Your international travel ambitions get a big shot in the arm after you visit some of the mountains in Sumatra making you want to come back frequently. This is the perfect destination for the nature tourist. On the other hand, South Sumatra is very new as a tourist destination. It includes Palembang, which was a major port in the ancient times. Today it is an oil rich region and therefore one of Indonesia’s richest cities. The canoe races held here are quite a sight to watch. This is usually held during Independence day. The coast is mostly untouched and one can see a variety of wild animals here. Bali offers you the perfect vacation spot. Take a few days off in Bali and live life to the fullest. On the other hand if you are in search of silence, the other islands of Indonesia add just the right flavor to your International travel ideas. So don’t wait anymore. Plan your trip, pack your bags and leave for Indonesia! A fabulous travel destination awaits.